Described as “Twitter for college,” the idea for Buhz came to Kelly as a freshman — he wanted an easier way to know about social things on campus, so he could get involved while still focusing on school. From there the idea grew from a concept into a full application. Currently, the app is available to OU and University of Michigan students, primarily for iPhone, but is in development for Android and the Web. With thousands of students signed up, the campus feed provides a good outlet for users to share their thoughts, ideas and campus news with members of the university community. 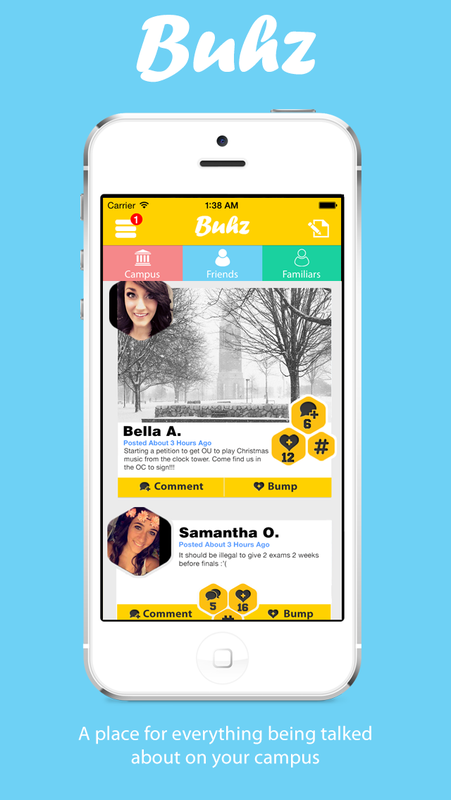 To download the application for iPhone, visit buhz.com or the App store. The invite code GRIZZ can be used for immediate download. For more information about the computer science program at OU, visit oakland.edu/secs/cse.